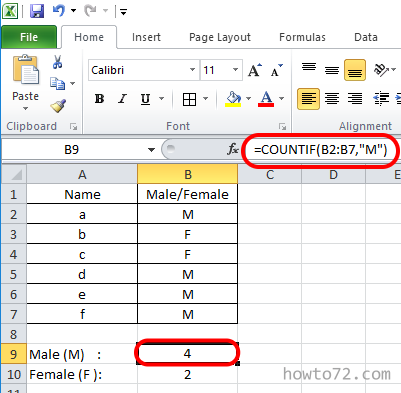 Excel formula for counting number of male or female employees/students, etc. 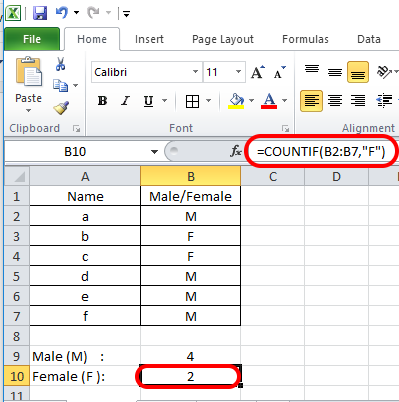 For this purpose you can use the Countif formula. 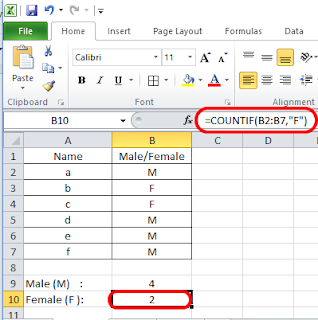 In the example I have a simple table with male (M) and female (F) gender. 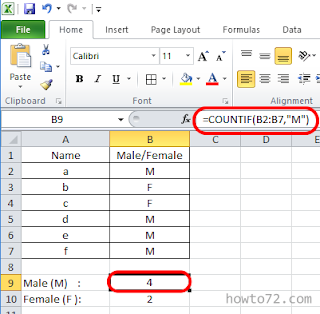 After understanding about this formula, you can use it for other applications.